The Productivity Commission’s recent five year review, “Shifting the Dial”, brings the welcome recommendation of a shift from stamp duties to a broad-based land tax. Stamp duty is a dud tax from the economist’s point of view; it doesn’t achieve an obvious redistribution goal and is a disincentive to downsizers. Land value taxes by contrast, are non-distorting and effectively reduce the price of land. They are inherently progressive, the tax is highest for those who can afford the most valuable land. The foregoing has been duly modelled and noted by Australian Housing and Urban Research Institute (AHURI) in a number of papers. Here and here. However, in that body of research AHURI repeatedly and erroneously assert that an investor only land value tax will push up rents. Firstly, if a landowner could demand more in rent, they would probably already be doing so. Land tax does not empower landowners to demand higher rents. In a competitive rental market, market demand determines rents. Property owners can’t always be price setters. What is the basis of AHURI’s contention that land taxes will be passed on in higher rents? In the 2011, AHURI modelled the impact of the Henry Review’s proposals (the Henry Review also recommended a shift to land taxes). Starting with the assumption that landlords pass on any charges in after-tax economic costs into rents, the authors analysed empirical data on the gross yield of property and the after tax economic costs faced by land holders. In AHURI’s model, these costs include maintenance, interest payments, land taxes, property taxes and agent’s fees. They found that as the after-tax costs increased, the gross rental yield also increased. These rising costs occur due the progressive structure of land tax rates and thresholds, which result in proportionally more land tax paid for higher value properties. This dynamic is offered as evidence that increasing investor land tax drives up rental yields ergo rents. Gross yields are determined by the amount of rent received relative to the price of the property. For example, if a property is worth $1000 and rent is $100p/a, the gross rental yield is 10%. To increase the gross yield of a property, either the rent must increase or the property value must decrease. If the price of the property goes down, but the rent remains the same — the rental yield increases. If the property value holds steady, but rental price goes up — the rental yield increases. When a land tax is raised, it eats into land rent made available by holding the property. This results in less land rent capitalising into land prices and thus lower prices. This is a well-known phenomenon in both theory and practice. Indeed, AHURI’s model shows house price falls exceeding the value of the land tax payment. Thus, they predict that the shift to land tax will ensure more affordable housing for both owner-occupiers and rental tenants. The tax is not passed on in higher rent, rather the after-tax costs capitalise into lower property values. Thus lowering the value of the property vis-à-vis the market rent. This means when a land tax is raised, it must by definition increase gross yields. What about a land tax that applies only to investors? A discriminatory land tax has the effect of reducing the willingness to pay of those liable for the tax. That is to say, an investor will consider the cost of the land tax in their bid. They will reduce their offer in line with their ongoing tax liability. An owner-occupier may be willing to pay more upfront, as they do not have to consider an annual land tax. This does not necessarily mean that an investor will not outbid an owner-occupier. Overall, they may still be willing pay more. However, if the land tax impost is high enough, investors will be at a significant disadvantage. Such a discriminatory land tax should increase gross rental yields. Again, this increase is due to lower willingness to pay among investors (read: landlords), not increases in the rents they can charge their tenants. The differences between broad based land taxes and investor only land taxes were modelled by AHURI in 2012. Unfortunately, that report succumbs to the same faulty reasoning that is often wheeled out in defence of negative gearing. The logic goes: as investors’ costs rise due to land tax, investors will leave the rental market and the supply of rental dwellings will fall. Due to the reduced supply, rents will increase until the return is enough to lure investors back to the market. If investors are selling up and leaving the market, to whom are they selling? Land cannot simply vanish from the market. It is possible to hold property vacant, but with a land tax in place, that “strategy” is incredibly expensive. The capital gains would have to outstrip the land tax liability. No. When an investor sells, they sell to either another investor, or an owner-occupier. If they sell to an investor, then the supply of rental properties does not change. If they sell to an owner-occupier, then the property moves from the rental market to the owner-occupier market. Whence do these new owner-occupiers come? From the rental market. From the pool of tenants currently locked out of property ownership. A discriminatory land tax reduces the supply and demand for rental housing simultaneously. This is not to say that discriminatory land tax has no distortions. There is potential for a structural mismatch of improvements in the rental and owner-occupied stock. Theoretically, greater rates of homeownership could stymie the development of the kind of dwellings favoured by, and affordable for the rental market. Whatever they might be. 20sqm student studios? Decrepit weatherboard share houses? Given that declining affordability and homeownership is due to high land prices, not issues with the dwelling stock, these are insignificant issues. If anything, dwelling stock is currently misallocated toward investor preferences. Rather than homes for actual people, housing has become a financial product. Using higher investor-only land taxes would likely curtail speculative activity in the market to the benefit of potential owner-occupiers. It would act as a corrective to the current trend, re-orientating development towards users’ (owner-occupiers) end needs. Increasing the land tax liability for investors would be far more effective than a Vacancy Tax. 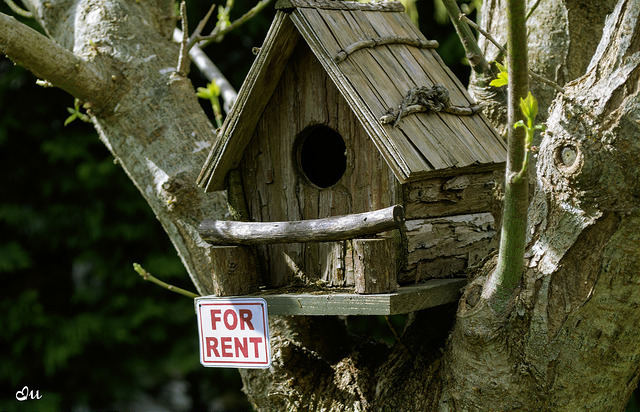 Vacancy taxes are more costly and intrusive to administer, and they only encourage the rental stock to be utilised, rather than discouraging speculative property investment. While a discriminatory land tax incentivises investors to make better use of their land, a broad-based land tax encourages everyone to make better use of their land. Or at least, bear the true cost of keeping premium infill sites from redevelopment. This supply side response is what gives broad based land tax the potential to reduce rents for tenants and mortgages for owner-occupiers, by reducing land prices, decreasing speculative activity and boosting home ownership rates. Logic vs illogic :-) Nice work. Everyone forgets that the raw “cost” of undeveloped land has a huge range from cheap farm to high density zoned city. It is extremely elastic. Housing costs “what people will pay” or what banks will lend them , then you subtract the building cost then the actual land development and marketing cost and profit to arrive at what a developer might pay for the bare land. So it is if you add a land tax to the holding cost. The rent is still only what people will pay and you work back from there to ….. du duhhh …. an adjustment to the capitalisation of the land. It is a bit unsettling to see that so called experts don’t get this basic fact.